Party planning can be tough business, even when you're worth a billion dollars. 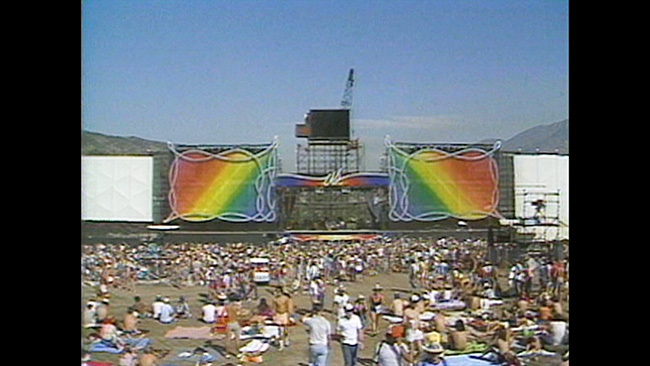 And that's precisely what Apple founder and fun guy Steve Wozniak found out when he came up with 1982's US Festival, a three-day musical extravaganza designed to be the 80's answer to Woodstock. Taking place over the Labour Day weekend near San Bernardino, California, the festival featured some of the biggest names in New Wave and other forms of popular music at the time, as well as some big names from the past. The product of a Kickstarter fundraiser, Glenn Aveni's 2017 film, US Festival 1982: The Us Generation attempts to tell the story of this groundbreaking festival, and all of the chaos that surrounded the planning and execution of the event. Woz himself is on hand in recent interviews to describe the genesis of the idea; namely, that he had millions to burn and wanted to see a sea of smiling faces rocking out to some great bands, and other founders and investors chime in to describe the difficulty in pulling off this magnificent feat. A key point of interest was the location of the site itself, which Wozniak's business interests dumped over ten million dollars into to push land around, turning the hilly, scrub-laden area into a massive, natural amphitheatre. This effort stands out as it shows that Woz wasn't just interested in having a big party, he was dedicated to doing things right; paying attention to the advice of people in the know, which also included paying for an offramp from the nearby freeway to get to the site. 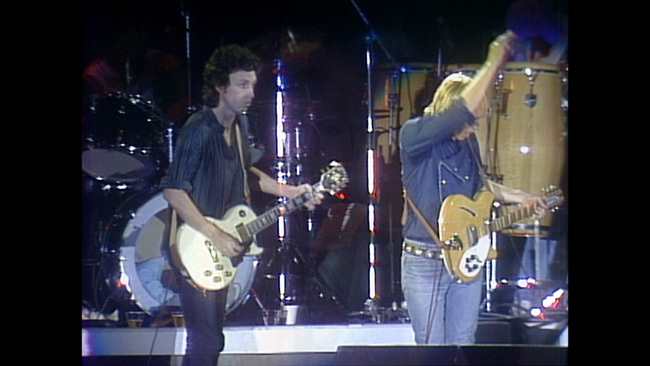 Next up in illustrating Woz's good intentions was the hiring of Bill Graham, explained in the film as the method of getting the best bands to put on the best show, no matter what the price. Graham's vicious business temperament is described by the key players as he attempted to run US as a well-oiled entertaining machine, thwarted by Wozniak's counterfeiting of dozens of passes to get his entourage of friends backstage, and hiring his wedding band to open the main stage on Saturday. Despite the chaos, however, many of the interviewees comment on the lack of arrests and drug overdoses (although these claims may be optimistic), and the overall positive vibe of the festival-goers, who were witness to cutting-edge technology both onstage, and in the Apple tech villages that exposed attendees to the still-mysterious world of the home computer. 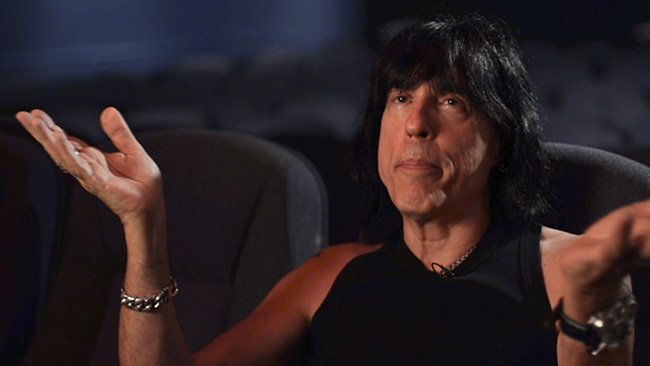 Of course, it wouldn't be a festival documentary without commentary from the performers themselves, and new interviews with Marky Ramone (the largest audience the Ramones had ever played to), Mick Fleetwood, Kate Pierson, and The Police's Stewart Copeland help to round out the story. Vintage interviews from the festival with Johnny and Joey Ramone, as well as Ric Ocasek (Don't be afraid of computers, they're the future!) capture the atmosphere and attitudes of the times appropriately. So, many are asking, how is the music? Well, strangely enough, in his....errrrr, commentary....Glenn Aveni discusses the inspiration for this project being found in the tapes of the entire 1982 festival. And we do get full songs from The Cars (Bye Bye Love), Fleetwood Mac (The Chain), Eddie Money (Gimme Some Water), The Police (I Can't Stand Losing You), Santana (Black Magic Woman), Tom Petty and the Heartbreakers (fighting his way vocally through Refugee), and Copeland's favourite act of the event, The B-52's (with a killer version of Strobe Light). 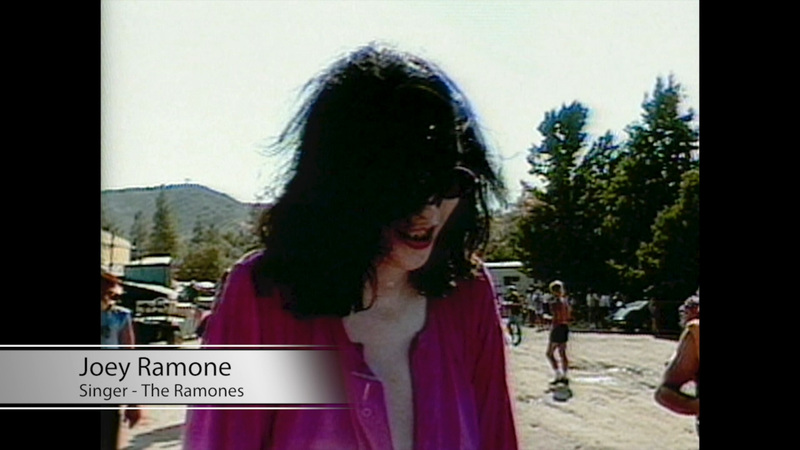 Sadly, the rest of the musical footage is extremely limited; The Ramones are cut to the intro of a song, we get about ten seconds of the Talking Heads, a little bit of Oingo Boingo, and these extremely short segments are bookended by title cards telling you who the bands are, which wastes far too much time. 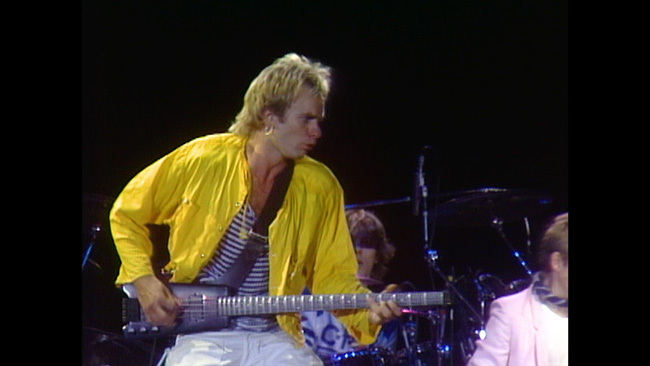 Understandably, US Festival 1982: The US Generation is supposed to be more about the creation of the festival rather than the acts, but the lack of music here is a lesson in disappointment. 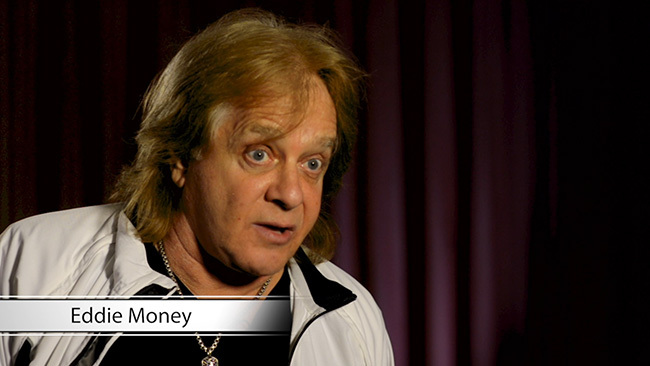 MVD Visual brings The US Generation to blu-ray (with included DVD) in an AVC-encoded transfer that flips between 1.78:1 (modern interviews) and 1.33:1 (taped vintage footage), and presented in tandem with the audio (more on that in a minute), it's a bit of a mess. The recent interviews look crisp and clean enough, but occasionally experience what looks like a transfer issue, where the picture seems to lurch a bit. It's not too distracting, but it gives the appearance of a lower-quality product. 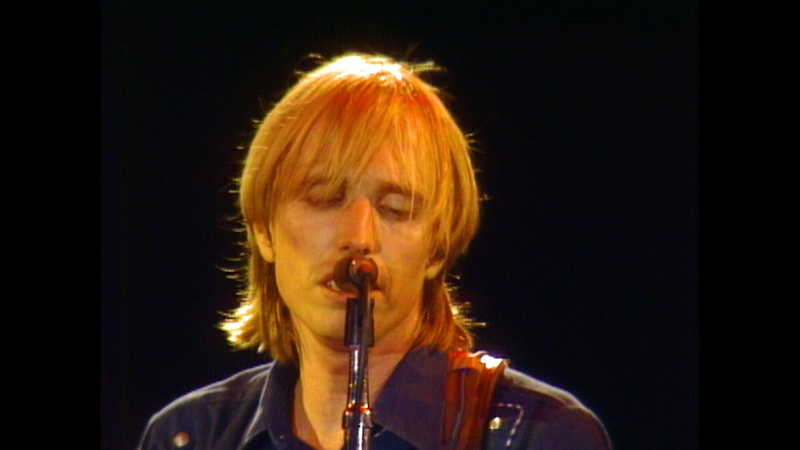 The festival footage is what it is, with interlacing and deterioration from the medium, but it's still very viewable and enjoyable. The audio. Well; for whatever reason, the entire film is presented in a Dolby Digital 2.0 lossy format, which, in this day and age, is regrettable. Granted, the concert source being taped would show limitations, but one can't help bust feel that the power of the few fully captured performances would be enhanced by a lossless audio track. I also had to set my otherwise normally nicely calibrated receiver to a 90ms adjustment for lip synch, as the audio synch was bothersome. Like the video, the audio quality itself, as far as the source is what it is; don't expect pristine, but you can expect decent and enjoyable. Extras on the disc include extended interviews with Steve Wozniak (16:29) who discusses the merging of music and technology, Mick Fleetwood (6:22) who gives his fuzzy memories of first hearing about the festival, and Stewart Copeland (19:50) who credits the newly-built offramp as the inspiration for The Police signing on, and the size of the crowd. 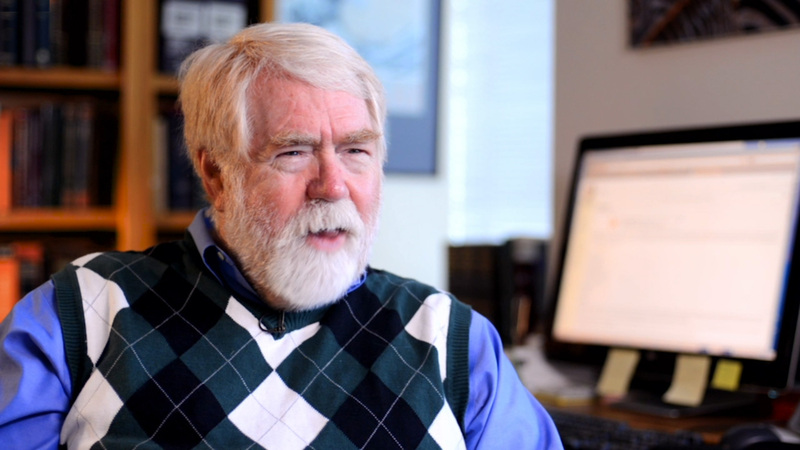 A Commentary with Director Glenn Aveni is stated as a bonus feature, but this is limited to Aveni occasionally making a comment about the festival and the film, with gaps so significant in between his statements that it can't possibly be described as a feature-length commentary. The interviews, both recent and vintage, are definitely worth checking out on this disc. 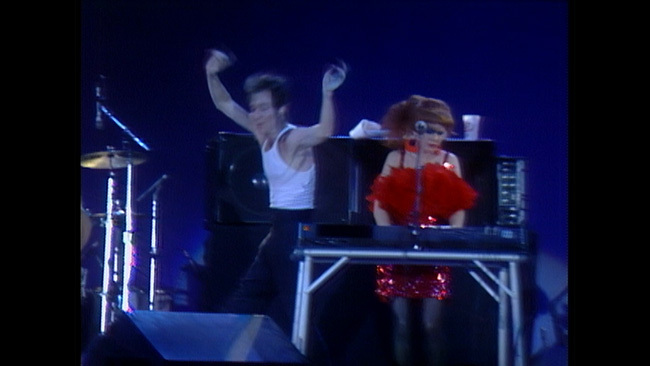 And the full performances by The B-52's, The Cars, and the few others given the time are splendid. 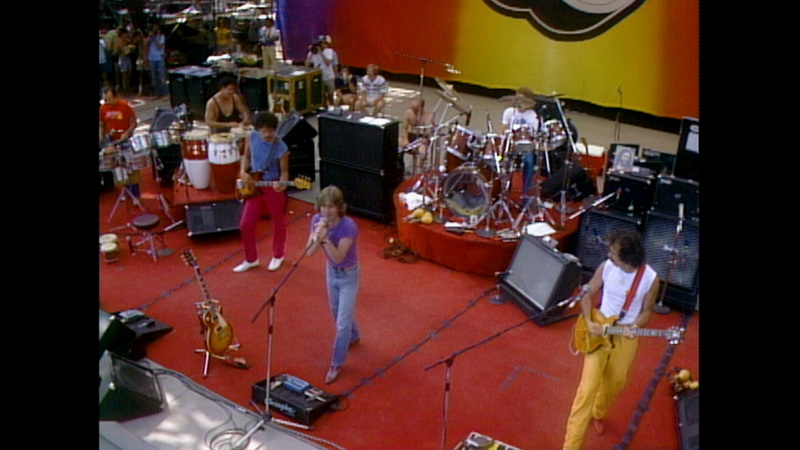 Overall, however, US Festival 1982: The US Generation is a dropped ball, something better enjoyed for free on PBS or Netflix on a lazy Sunday afternoon. 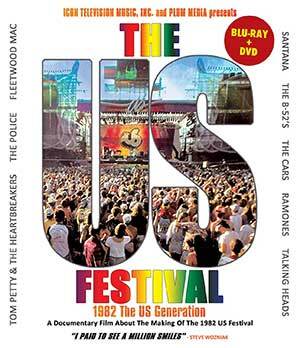 Click on the images below for full sized US Festival 1982: The US Generation Blu-ray screen caps!